Phyllis M. Glover, 85, passed away May 8, 2018. Phyllis was born October 4, 1932 to Robbie and Hazel Robinson. She was in the automobile business for 60 years. 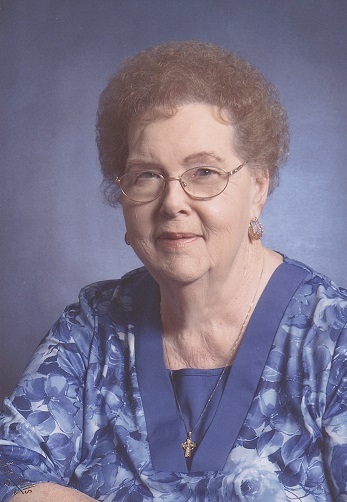 Phyllis was a member of First Baptist Church of Lee’s Summit. She was preceded in death by her husband Gene Glover and her three children: Debra, Kenneth and Cynthia. Survivors include her daughter Kathy Duckworth (Brian); daughter Robin Seek (Tim); and many grandchildren and great grandchildren. Visitation will be 9:30AM, with services at 11AM, Monday, May 14 at First Baptist Church of Lee’s Summit, 2 NE Douglas Rd. ; burial in Memorial Park Cemetery at Park Lawn Funeral Home. I'm so sorry for your family's loss. It was a pleasure meeting her in the last few years, and I remember her fun sense of humor and charm. I very much enjoyed hearing stories of her life and of her travels around England, as well as other members of the family that had been. She will be missed!